This 7-inch High Definition display is one of our best screen, designed from the ground up we focused on the day time experience. In the past some screens would be washed out during the daylight but this screen has extra brightness that will look as good in direct sunlight as it would in the dark. The backup monitors are made with a special rubber coating and also includes a free removable sunshield. This LCD monitor has a digital wireless range of 150ft of flawless video, it is compatible with our military grade night vision which is so clear that a lot of time you will be looking at your screen and not realize the night vision is activated. 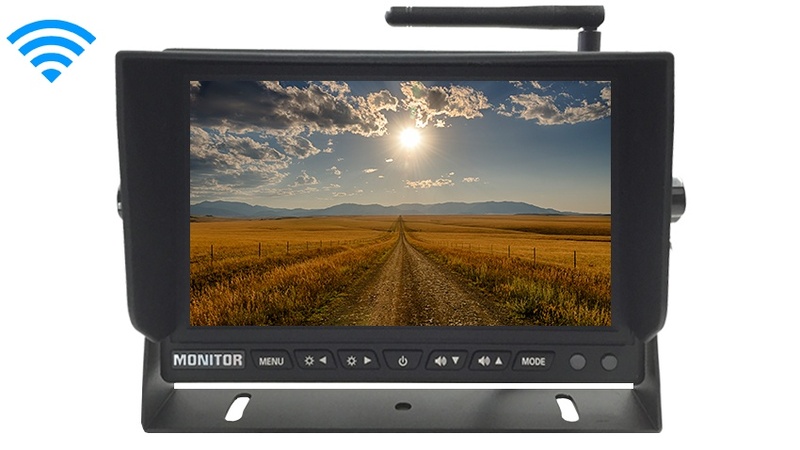 The Rearview monitors is powered by 12-36 Volts and have been very popular in commercial applications. This monitor will allow you to view the camera while driving down the road in a crystal clear image. The installation is also very easy with the built in systems. It also has a detachable sun shield. 1. 7-Inch LCD for Digital wireless Built In backup cameras.